Separate to the individual personalised Living Words books that all participants co-create and receive, we publish the words of people we have worked with in order to change societal understanding and attitudes towards the dementias – to be part of the movement towards cultural change. 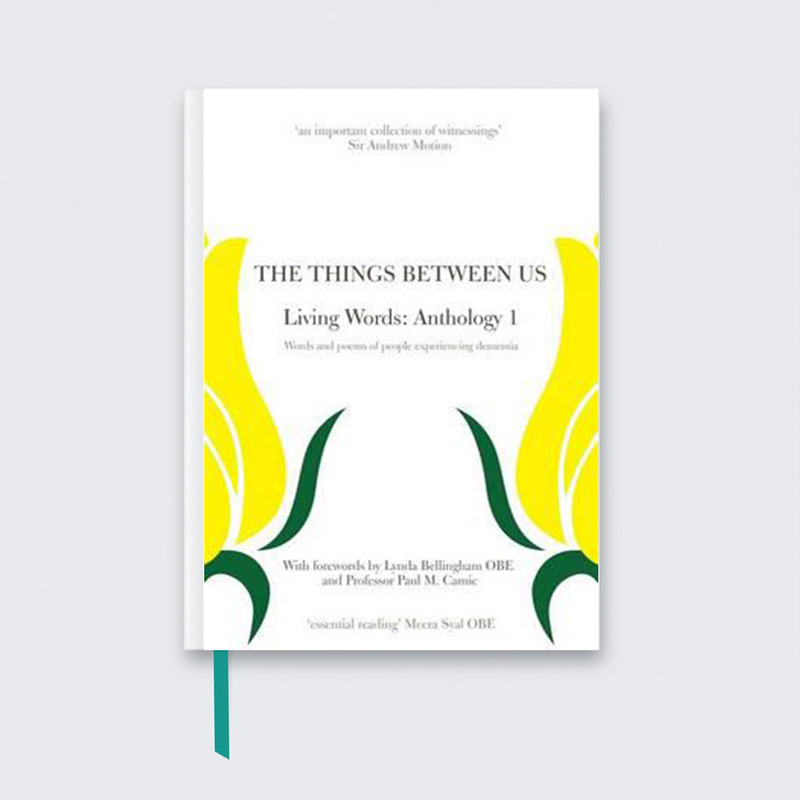 Our first published anthology ‘The Things Between Us’ is a collection of words and poems from people living with a dementia, with forewords written by Lynda Bellingham OBE and Professor Paul Camic. An important collection of witnessings to an important subject, and valuable for what it addresses, as well as the way it addresses. By listening clearly and openly and following our listen-out-loud methodology, we meet person-to-person in an environment of equality. As an individual’s words and poems journey into the world outside, the person experiences agency and purpose as they are heard. Essential reading for every surgery, care home and hospital and for all of us who are living with loved ones with dementia.